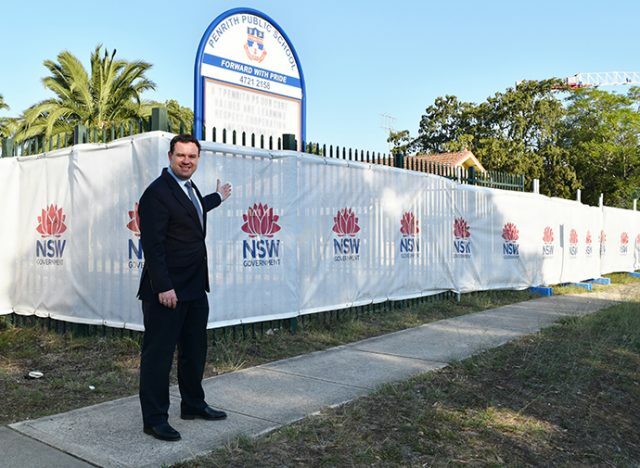 Students and teachers at Penrith Public School will benefit from an upgrade that will provide new classrooms and improved facilities. The construction contract has been awarded for the project, which will include 12 new classrooms, toilet facilities and a refurbishment of the school’s administration building. Member for Penrith Stuart Ayres welcomed the project reaching this vital stage. “We want our children to have the best education possible, and this project will help deliver the high quality education our children deserve,” Mr Ayres said. “This project will give students the resources they need to succeed in the 21st century,” Mr Stokes said.